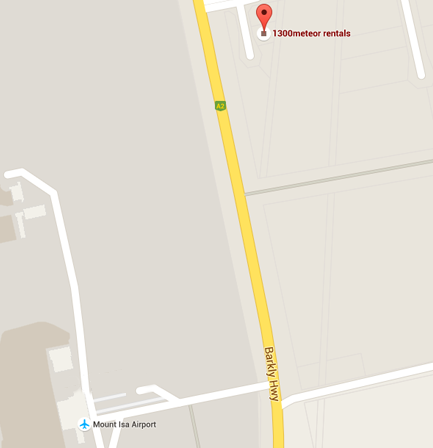 A: Our premises is opposite the airport only 500m away. Allow 5 minutes travel time. When are your courtesy pick up and drop back services available? A: Between 7.30am and 7.30pm to suit scheduled services, 7 days per week. 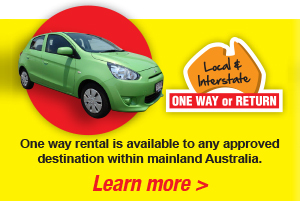 A: Any renter of our motor vehicles ie cars, people movers, light commercials, 4WD's and trucks. Are there any limitations or conditions applicable to this service? if a pick up service we will transport the driver (and up to 3 or 4 others if required) back to our off airport location which is very close by. After finalising the paperwork and accepting delivery of your hire car you are free to return to the airport to collect the balance of your party. if a drop back service we suggest that the driver drop the balance of passengers off at the airport prior to returning the vehicle to our off airport location at 3 Killara Crescent opposite the airport (via Kolongo Crescent leading off the Barkly Hwy) our staff will then run the driver back to the airport. (iii) As airports generally require passengers to be at the terminal a minimum of 1hr before a domestic flight we ask clients returning vehicles to be at our premises a minimum of 75 minutes before your flight departure time. Do we need to refuel our vehicle before dropping it back to your office? A: You can either top up your vehicle before returning it, or if limited for time you can leave it to us a service fee applies (fuel taken is charged at bowser cost no fancy markups!) The nearest service station is the Coles Express Mt Isa Truckport (Shell) at 221 239 Barkly Highway about halfway between the city and the airport. Our fees can be found under 'Standard Fees & Charges'. Can we leave our vehicle at the airport when flying out, rather than drop it back to you? A: All vehicles are to be returned to our office we will run you across the road to the airport. 1. Ring our local office (refer to our contact numbers to the top of this page) to confirm your arrival and we will be there in 5-10 minutes to pick you up. At that time we will advise what make, model and colour vehicle we will be driving so you can keep a lookout. 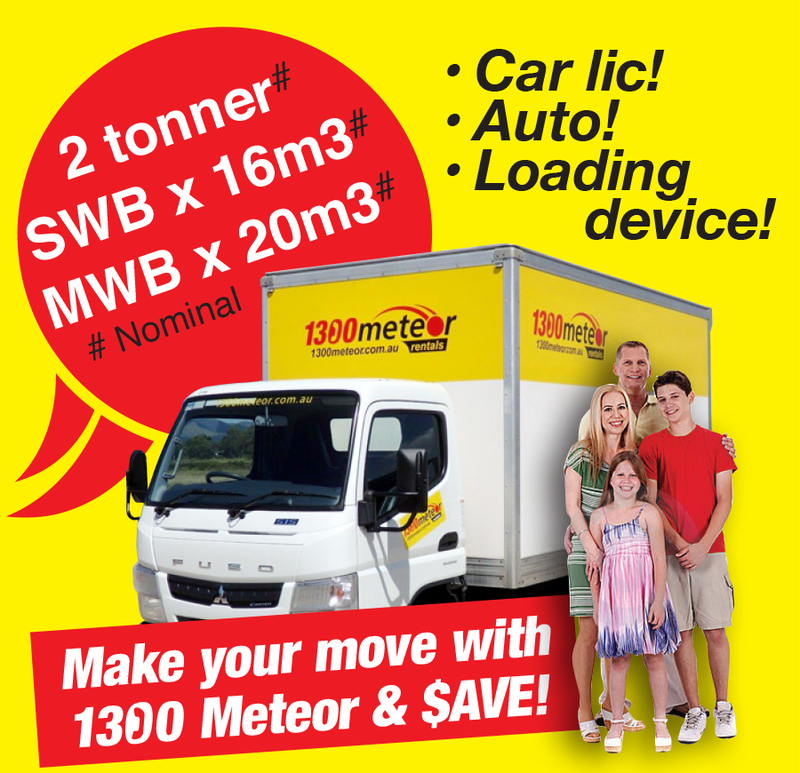 Our vehicle will also be fitted with 1300 Meteor Rentals signs to the front doors, and our staff wear bright yellow shirts inclusive of our logo. 2. 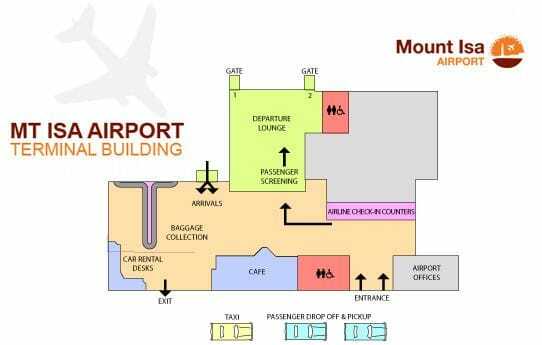 After collecting your bags make your way of the terminal and wait for us in the designated passenger pick up / drop off directly in front of the terminal (refer to the diagram above). We look forward to being of service to you upon your arrival! Please return your vehicle to our local depot at 3 Killara Crescent (opposite the airport, via Kolongo Crescent that runs off the Barkly Highway) a minimum of 75 minutes before your flight departure time and we will run you to the airport. If there is more than 4 people in your party we would ask that you drop them off at the airport (nearby) before returning your vehicle. We wish you a safe journey home!